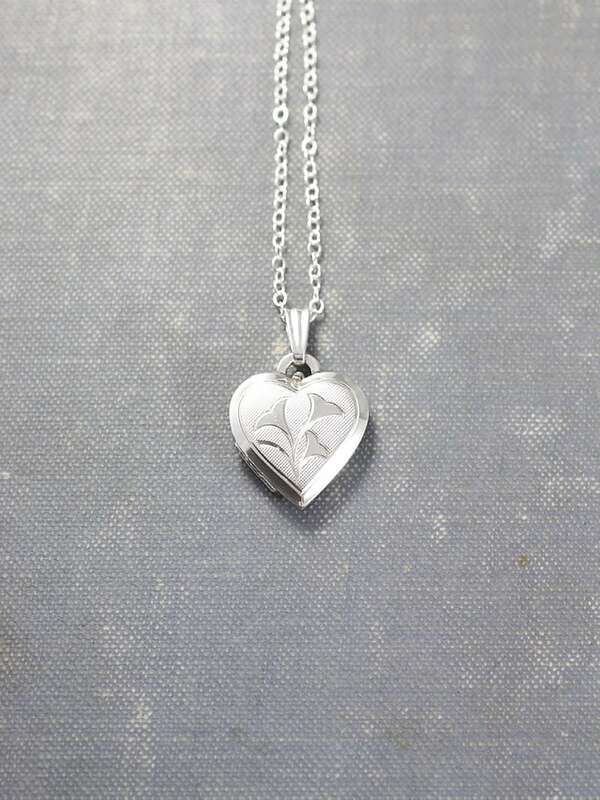 A beautiful and rare vintage sterling silver heart locket is engraved with three heart or tulip like flowers set against a patterned background. The design is accented by a bevelled edge and matching bail. 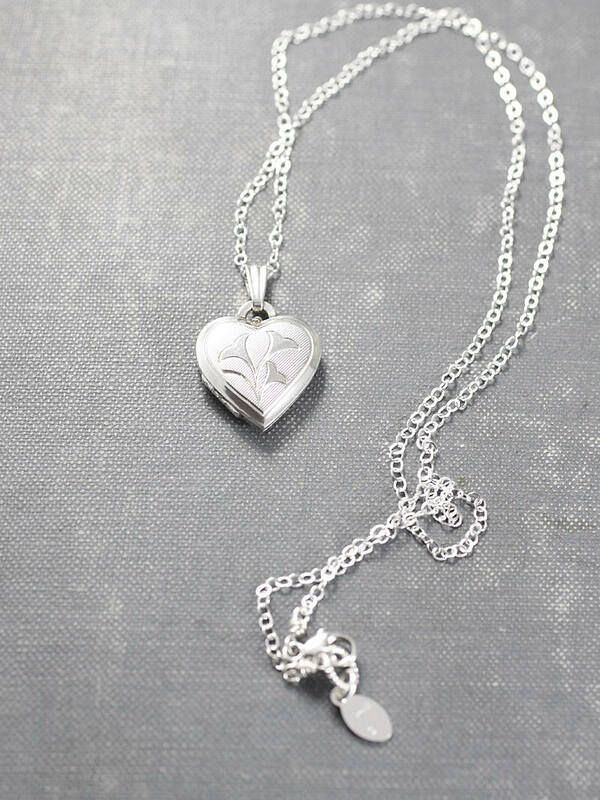 The back of the locket features the same bevelled edge with a patterned engraving. 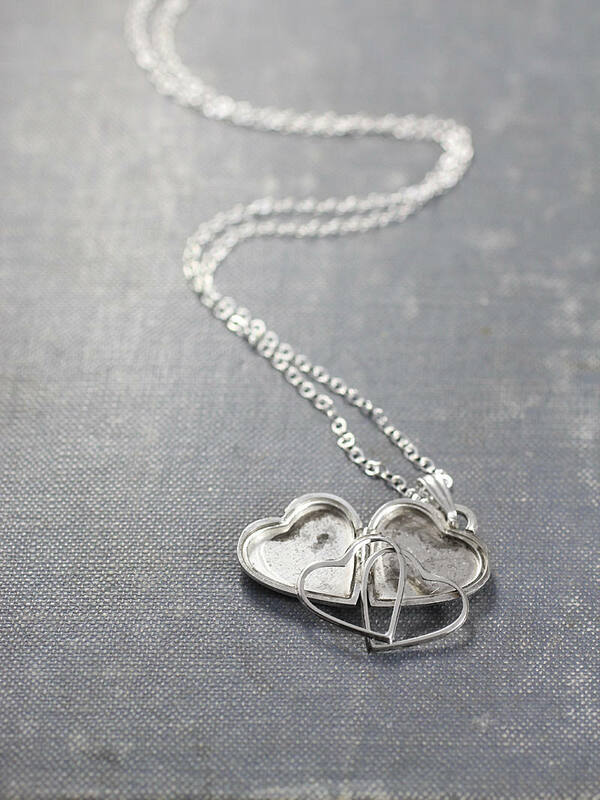 The wonderful vintage heart locket opens to reveal two removable frames ready to hold your beloved photographs. 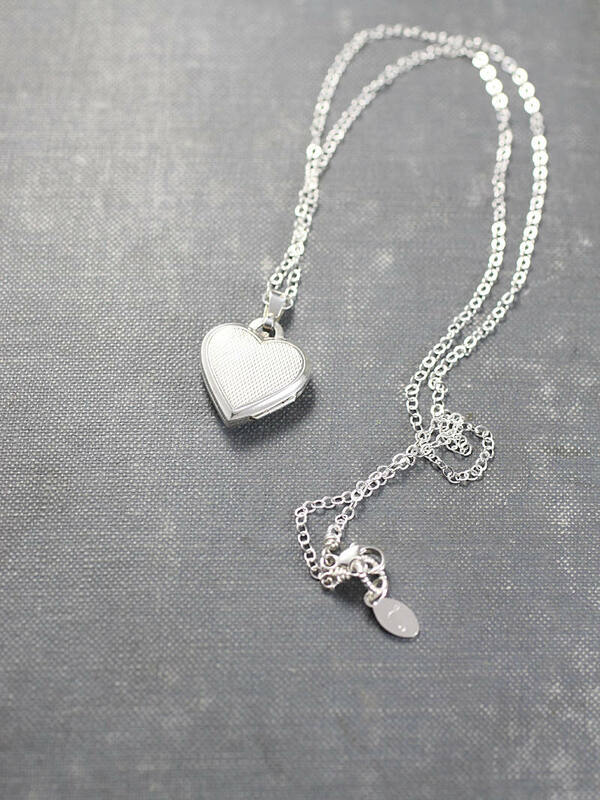 The locket is set on a new sterling silver chain hand finished with a trigger lobster clasp and ring. 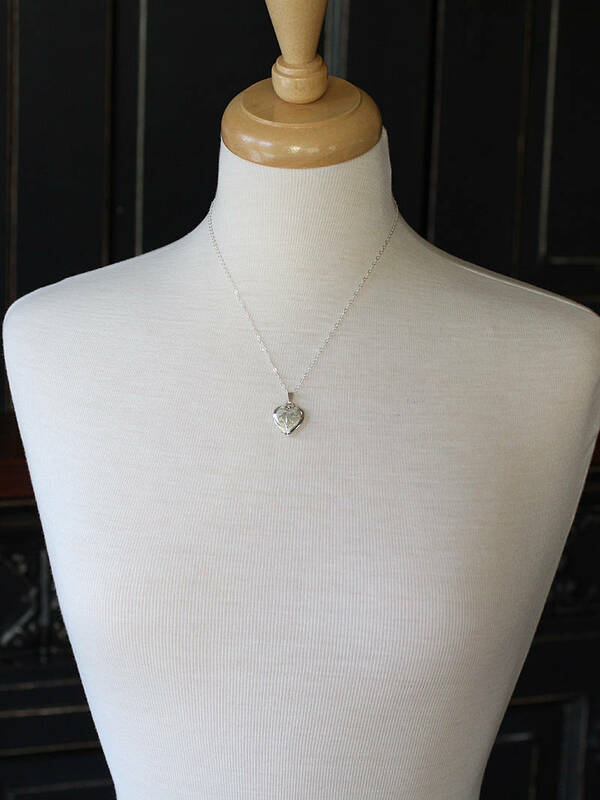 Signed: "Sterling Silver" with the maker's mark "K & L"